Music is probably my biggest inspiration. I am constantly on the search for good music, because good music transcends through all barriers whether it is alternative, jazz, electronic, hip hop, film scores ect. If its good it brings us together. This was all very fitting when over the weekend I met a new group of very cool people and I had the pleasure of hearing music by this artist Gretchen Parlato. I have always been a huge Jazz lover my favorite being Jazz percussionist Ahmad Jamal, however hearing vocalist and percussionist Parlato I think I have found a new favorite. Her perfectly crafted sound is refreshing and blissful. Her ability to use her voice as an instrument to skew sounds, mimic instruments and transform pitch is utterly amazing. I spent several hours listening to her repertoire of songs and with each song I loved her even more. I think the subtleness and beauty of her voice is really captivating. Parlato’s voice is not the only thing that is amazing but she has a style that is all her own. From her sleek haircut to her chic and simple yet at time quirky fashion sense she is the total package. 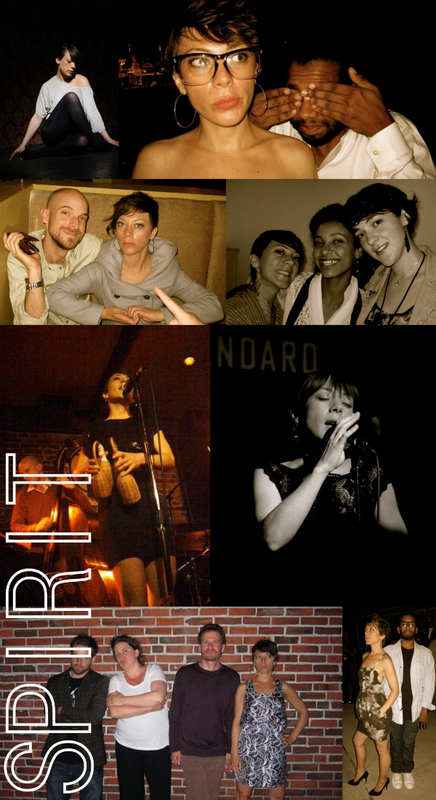 From the interviews she has given and her bio Parlato has a strong sense of who she is and the unique talent that she is offering to the world. On the journey to find one’s self Parlato has definitely arrived and her spirit is my ROXI inspiration this week.